For nearly ten years my focus has been on transformation, self-love, self-belief and discovering why more people don't have joy, contentment and confidence in their life. This led me to write a book called the Constitution of the United States of Being - The art of self-love, fulfilling our dreams and finding joy. My purpose in life is to transform, uplift and be a beacon of support for anyone wanting to find more meaning and joy in their lives. It is my mission to help you discover and develop your self-love, creativity and fearlessness so that you can create sustainable authenticity in your life. Together with me, I invite you to explore and discover a place of passion, creativity and wisdom. This is your home for the next stage in your journey. My desire is for you to experience an extraordinary life which is full, deep, and richly fulfilling. I want you to LOVE the adventure and experience life as the constant miracle it is, even in the hard times. 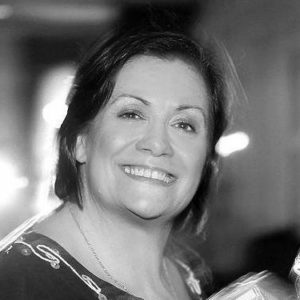 Through my soul centred mentoring, workshops, webinars and retreats, I create a playground of inspiration and transformation for you. Discover an expanding world of connection to your self-belief and inner joy - and plug back into your intuition where you will find all the answers. Subscribe to receive updates, news and event details via email. 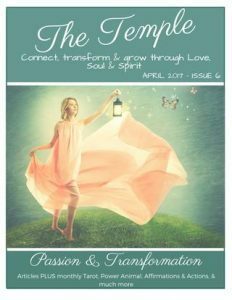 Read Lisa's latest article on page 15 of the March issue of The Temple magazine. Lisa talks with Anna Geller at Diva Radio about her book, never giving up, believing in yourself and reaching for your dreams and goals. 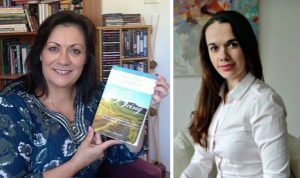 Lisa and Leanne, The Barefoot Medium, chat about manifesting and creating. There is nothing to stop you from reaching for the highest, most beautiful and joyful version of You.